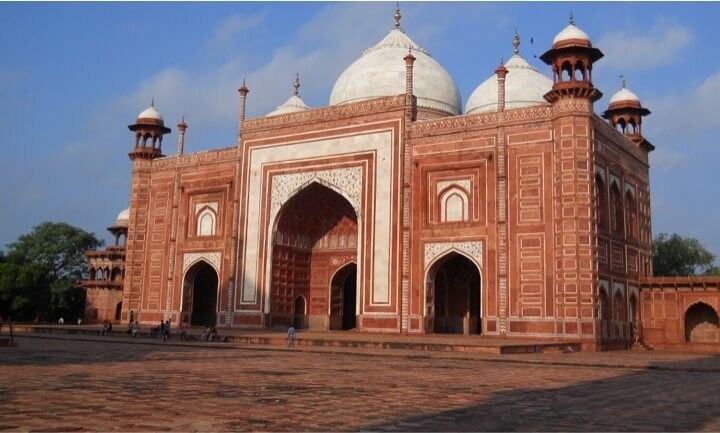 A unique perspective on a Journey to India and spotlights on students, faculty, and alumni having impactful experiences around the globe. Political Science Professor Rekha Datta PhD lives her life according to the wise words of the venerable Mahatma Gandhi: “Be the change you want to see in the world.” And it is this passion that has enabled her to help so many of her students over the years. Her profound influence stretched to another continent in January 2014 when she escorted a group of Monmouth students on the second International Service Learning Trip to India. From a transcendental classroom without walls to a street-side monkey show to a beautiful, serene cemetery, Dr. Datta and her group experienced the many contradictions that the country of 1.2 billion people presents to visitors. 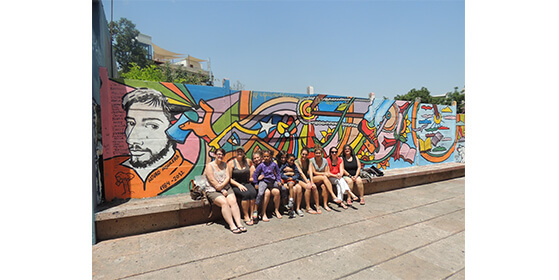 The trip is part of her course, International Service Seminar (PS 371), which provides students with experiential education credits and a model for other service travel projects throughout the world. “Our trip bridged the gap between perspectives,” said Sam Maynard ’14, who called the country a natural contradiction. “I began to see where the complexities lie.” He remarked about the difficulty in striking a balance between efficiency and civil society. Sam is now at the Georgetown University Graduate School in Political Science. His twin brother, Dylan Maynard ’14, echoed that sentiment when he said, “It gave us the opportunity to understand the differences instead of shutting them out.” He cautioned that one need not fear the differences but instead learn from them. As a student, Dylan participated in Project BAM (a collaborative partnership among Big Brothers Big Sisters of Monmouth County, Asbury Park High School, and Monmouth University’s Institute for Global Understanding) and was named Outstanding Undergraduate Scholar in History and Political Science. Dylan is now studying toward a master’s degree in history at New York University. In November 2014, his paper “A Give and Take: An Historical Trajectory of India’s Unique Corruption”, was published in the Journal of Undergraduate International Studies. Paramount to this trip, as was the case with their 2010 trip, was a visit to the Loreta Day School in Kolkata where Dr. Datta received both her primary and secondary education. Loreto Day School, Sealdah, cares for about 1,400 female students, about half of whom are so poor that the school must take care of their every need—food, medicines, rations, shoes, books, uniforms, even money to meet the rent when eviction threatens. As part of the Rainbow Home Program, which was founded by the Partnership Foundation in 2002, no one is turned away. The school will also take in young boys and care for them until they can be placed in other schools. Instrumental in dramatically changing the orphanage was Sister Cyril Rooney, who in 1985 recognized the need to educate all children regardless of their class. In 2011, Sister Cyril received the Global Visionary Award from Monmouth University at the 10th Global Understanding Convention. After receiving the award, Sister Cyril stressed the need for a conscience. “We are not born for ourselves alone,” she said. 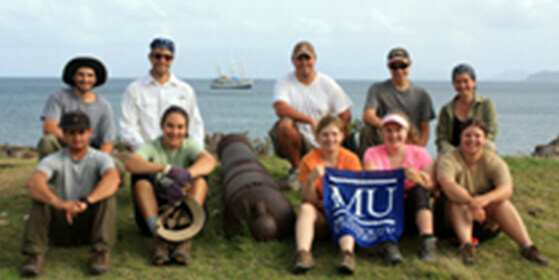 Monmouth offers direct placements at Regents College (London, England), Macquarie University (Sydney, Australia), University of Andalucía (Cádiz, Spain), and Lorenzo de’ Medici (Florence, Italy), or students can choose from more than 80 programs in 32 countries through our membership in the College Consortium for International Studies. Sixty percent of the Loreto students live in sprawling slums amid mounting piles of garbage, narrow alleyways, and serpentine tunnels. In such conditions, rows of tiny one-room structures are separated by a brick wall or, at times, a bamboo partition. “The students were so happy and gracious,” said Jessica Roberts ’14. “The day school made me focus on the humanitarian aspect much more.” Jessica is now studying toward a master’s in political science and government at Rutgers University in 2016 while she continues to mentor high school students in Asbury Park on their debating skills. The group also visited the Institute of Social Sciences, dedicated to a systematic and scholarly study of contemporary social, political, and economic issues; the Taj Mahal; the Centre for Environmental Management and Participatory Development, an independent, non-profit, public interest organization focused on community-centric participatory environmental management; and Shri Shikshayatan College, an undergraduate women’s liberal arts college in Kolkata, India. In response to their trip, the students organized a fundraiser for the Rainbow Program. “The Rainbow Connection: A Festival Celebrating a Journey to India” featured Indian food, henna art, Tarot Card readings, an Indian fashion show, live music, and a short presentation about the students of PS 371 and their trip to India. The students raised money for sleeping mats for the children they visited in the Rainbow Program while in India. Dr. Datta’s influence is undeniable. Her students are open-minded, global thinkers who embrace religious and cultural pluralism. The 2003 Distinguished Teacher and founding director of the Institute for Global Understanding is also the co-founder of Women and Girls Education International (wageintl.org), a not-for-profit that believes education is key to empowering women. WAGE seeks to work with community organizations that help families and support women and girls facing violence. As vice president of WAGE, she also helped facilitate the creation of Students Advocating for Girls’ Education (SAGE) on campus. 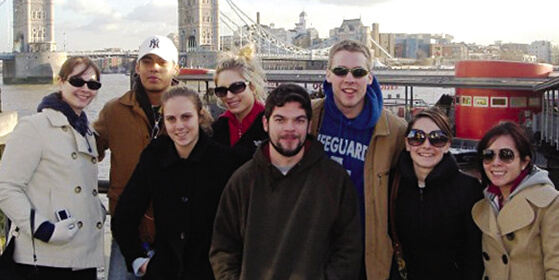 International Service Seminar (PS 371) took students to the seats of European power with Professor Gregory Bordelon. They visited British Parliament in London, the Peace Palace in the Hague, and the European Commission in Brussels. Art professor Vincent DiMattio has been taking his students abroad since 1982 to study drawing. Previous trips have included Paris, Barcelona, Prague, and Amsterdam. Settled in the late 1620s, Nevis is home to some of the earliest English settlements and fortifications in the Caribbean. Students have the opportunity to investigate the site of Charles Fort, the largest and best-preserved fort on the island. Monmouth University School of Social Work’s Master of Social Work (MSW) program is ranked as one of the best programs by U.S. News & World Report’s “Best Graduate Schools.” The program also offers one of the few international tracks in the nation. 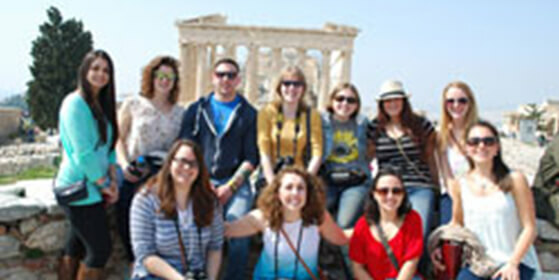 Students in this concentration may elect to do a local or an international internship. International placements have included Vietnam, Costa Rica, Tanzania, Chile, Ireland, and Bangladesh.